These days, we drink or demand RO Water everywhere and anywhere but do you know what RO stands for? Or what is the role of RO in purifying the water? RO stands for Reverse Osmosis. It is a new technique that features advance filtration process, which helps in eliminating dirt from the water. Lot of people still rely on tap water and believe that tap water is pure enough for daily consumption. I don't think that's right. In our homes, we have old pipes, leaky and rusty surfaces which destroys the purity of water. With old pipes, leaky and rusty surfaces, water gets contaminated en route to our house. So the water we consume from tap is not good enough. Purity of water is very important these days. Lot of diseases are caused due to impurity of water we drink or consume. And the diseases caused by impure water gives us some serious health issues. 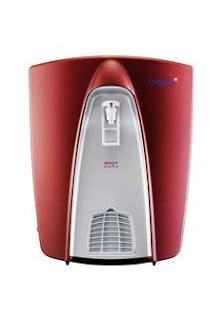 Thus, water purifier, specially RO water purifier has become a necessity. 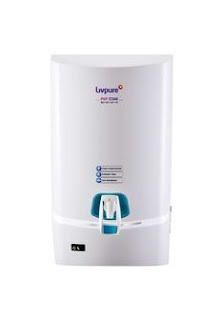 RO purifier cleans all the impurities from water. Apart from killing germs and removing all types of chemicals, it removes both suspended and dissolved impurities from water. RO provides you pure drinking water after removing all the impurities rigorously. You can compromise on lot of things in life but if you are compromising on a drinking water then you are compromising on your life. Now the question arises, which is the best RO water purifier? The answer is simple, the purifier which removes all the impurities from water is the best RO water purifier. Which company provides such purifier? In today's world of manipulative advertising, lot of companies promise lot of things but there is only one company which deliver those promises. Livpure. Livpure, as a company promises to deliver the pure and healthy drinking water to each and every Indian. In this highly populated country, we hardly get pure drinking water. Thus, we demand mineral water or carry the water bottle wherever we go. Livpure removes all the above mentioned impurities and provide us the kind of water we demand everywhere. Livpure water purifier not only provide the pure drinking water but it also decorates the kitchen with its design and style. 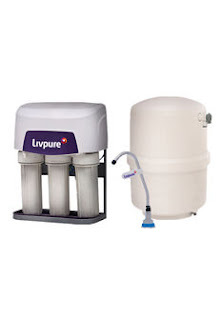 Livpure provides the RO water purifiers as per your need and preference. It has all kinds of RO purifiers. Wall mounting, under the sink, table top with different colors to suit the decorum of your kitchen. After these things next thing comes into mind is, how much it costs? When it comes to pure drinking water then I don't think it matters. Because when it comes to pure drinking water, RO water purifier becomes an investment. An investment to keep you and your family healthy and safe in the long run. Livpure RO water purifier is an investment which will give you and your family a healthy and good lifestyle. So don't wait for the right time to invest, just invest. I want to suggest some changes in budget which will increase the kitty of government and will also increase the tax payers also. These are simple suggestions. If followed, it will multiply the tax revenue. 1. Remove HUF Status. Keep only one status i.e individual. As per my thinking, it is giving double benefit to tax payers. They save tax on individual status as well as on HUF status. I have seen most of the families who are very rich maintain HUF and individual status of all the males in the family. By removing it, country will receive a lot of tax from them. So I would suggest to remove HUF status from this year itself. It will increae the tax kitty of goverment as most of the tax payers who are having double status i.e. individual as well as HUF and are enjoyinh double income benefits will start paying actual tax amount. 2. I also suggest to remove all the family trust because in the name of family trusts, people save lot of taxes. 3. Deduct 10% TDS on all fixed deposists irrespective of amount. Do not allow people to fill form 15(G)/15(H) rather ask the people to claim refund from Income Tax department. It will increase the tax payers number and I have seen most of the people who are having fixed deposits don't survive only on interest income. They have other incomes as well. If interest is their only income then they should file an IT return. 4. Remove the CESS on taxes. Instead increase the percentage of tax. 5. Increase taxes on luxuries i.e. air travles, taxes on three star and five star hotels and restaurants, premium rail tickets particularly SECOND A.C. and FIRST A.C.
6. Increase taxes on all type of cars. Not only luxury or premium cars but also on all type of small cars. 7. Immediate sell of IPO alloted shares should be taxed directly at the rate of 10% to 15% and it should be deducted directly at the time of sell. If premium is earned on that and if the income of individual is less than the taxable income then let them file a return and ask for refund. It will increase the TAX kitty and number of tax payers. 8. Tickets sold at box office of multiplexes should be taxed at the rate Rs.5 per ticket in addition to other taxes. Moreover ask the theatre owners to deposit that tax amount immediately because mostly upper middle class people and rich people visit the multiplexes. Budget is around the corner and I as a common man of this country has lot of hopes from this budget. I wish government think or work atleast once on these ideas or suggestions and give some sort of relief to the middle class of this country. Let's keep our fingers crossed and hope for the best. I used to repeat these verses daily in the premises of Sadhu Vaswani School. I started my academic life from that institute. For any child, basic education is very important. The future of a child depends on it. Basic education is like constructing the base of a tall building. Teachers in pre primary and primary construct that base. The base of my building (career) was constructed at Sadhu Vaswani School, Ahmedabad. I studied there till 10th standard i.e. 12 years. In pre primary and primary, different teachers taught me different subjects but I remember only one teacher. Mamta Kohli. As a child, you have that one teacher who defines the word teacher, who sets the standards for other teachers in your mind. For me that teacher is Mamta teacher. In pre primary and primary, she was like mother in school. She used to ignore all the mischiefs, all the mistakes and used to teach all the students with lot of love and dedication. She used to take care of all the students like her own children. On one hand, there were teachers who were strict, who used to punish me, who used to beat me and as a child you hate those teachers and forget them quickly. While on other hand, there was Mamta teacher who has such an impact on me that even today whenever I hear the word teacher, the first image comes in front of my eyes is of hers. In secondary, there were different set of teachers teaching different subjects. It was that era when students started depending on tuition classes for good marks. In school, there was anjali teacher, pritam kaur teacher, pannu teacher and others who taught me different subjects till 10th standard. Then in 10th standard, I joined Kapoor tuition classes for maths and science. I joined tuition classes because numbers used to irritate me and my parents were afraid of me failing in maths. So they gave me in the hands of Kapoor Sir but couple of months before board exams Kapoor Sir put me in the batch of weak students. I still remember, I went to talk to him about that and his face was like 'Tumse na ho payega' but with the efforts of all the teachers I scored 66% marks. Then in higher secondary, two major changes came in my academic life. One the school was changed and other tuition teacher was changed. I decided spend last two years of my school life in Amrut School and in tuition, I joined Deep group tuitions. Both the changes worked pretty well for me. I opted for commerce in 11th standard and Deepak Sir was pretty good in that stream. So I joined his classes and there was an instant growth in my marks. Numbers used to irritate me till 10th standard but he made it my strength immediately. I scored highest marks in accountancy in the first terminal exam of 11th standard. It helped me to make a strong impression in front of Amrut school teachers. Rasila ma'am, A.K. Sir and Dharmendra Sir at school started believing in me. Studies and mischiefs started going hand in hand. I used to disturb and frustrate teachers like Menos Sir, Patel Sir and Hindi teacher by my mischiefs and jokes in the class. Two years in Amrut School were the best two years of my academic life. I enjoyed a lot, I grew in confidence, it made me stronger and it made me ready for the world. Then I took admission in C.C. Sheth College of Commerce, Ahmedabad for my bachelors' degree. I scored 68% in 12th board and according to merit, I got admission in that college. It wasn't the best college in Ahmedabad but it was the best college on the basis of my marks. The professors of communication and english were really good. They sown the seeds of writing in me. On the other hand, the bond with Deepak Sir became stronger as I continued to take tuitions from him during B. Com as well. I attended the college regularly for one and a half years. Then I started taking help of proxies as I opted for CAT for the further studies. I joined endeavor careers for the coaching of CAT and from that point of time, my transformation began. At endeavor, I was blessed with the career shapers like P.C Sir, Hitesh Sir and Dwijendra Sir. They improved my vocabulary, grammar and made me good with numbers. P.C Sir improved my english and was definition of workaholic to me. While Hitesh Sir and Dwijendra Sir were the masters with numbers. Their knowledge, excellence and dedication improved my relationship with numbers. They didn't only improved my skills but they also taught me the work ethics. There were other teachers as well at endeavor careers but I don't remember their names. They also taught me well. At endeavor, I was taught how to remember the things with mnemonics, tricks of fractions, squares, multiplication etc. It was a complete transformation of me and it was required for CAT. I didn't score well in CAT. I didn't get admission in any of the reputed colleges. My scores were not even close to the cut offs of those institutes. So I decided to go for GCET. Before GCET, P.C Sir guided me. He informed me about good institutes under it and gave me the tricks and books to crack it. I scored well in it and according to the merit of my scores, I took admission in LDRP-ITR to get my masters degree. In LDRP-ITR, the professors were good. Hemali ma'am, Anand Sir, S.K Sir, Pooja ma'am, Sejal Ma'am and Vinit Sir taught well in the foundation year. In second year, I opted for marketing. The faculties were the same in the second year as well and they did a superb job. They taught me the skills like how to communicate, how to conduct the research, how to get the target audience, how to pitch your product or service, how to cut the costs, how to analyse the results etc. I got theoretical as well as practical knowledge in that institute. I completed my MBA in marketing and started my career as a marketing executive in CarTrade.com. There, I met Hiren Shroff. Sales and marketing manager of Gujarat region. He was a perfect guide to me in my first job. His guidance and support helped me to survive during my struggle in first couple of months. I worked there for 10 months and he always stood by me during that period. Today, I am a writer, designer, accountant, marketer and an analyst. I do freelance writing for various companies through various blogging websites. I am a co-author of the book Six Degrees - Game of blogs. 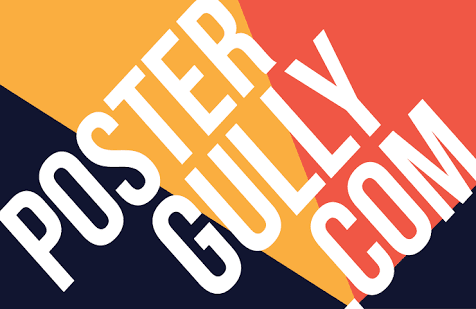 I design lifestyle products on the websites like PosterGully, Cupick & Freecultr. I do online marketing on twitter and facebook. Lastly, I am an accountant and an analyst in New India Assurance. I have neither used any reference, connection nor have I paid any bribe, donation to reach where I am today. All these skills in me have been developed by these teachers and guides. Without them, I don't know where I would have been today. I bow down to all of my teachers and guides and would like to thank them for making me able to stand on my own feet. They have had much more brilliant and successful students than me and they have touched certain heights of success but whatever I am today, wherever I am today, it is all because of them. Thank you for making me what I am today. I am blessed to have you in my life. All of my skills has been developed under your guidance and teaching. I have always been an average student but without you, I might not have done anything on my own. Thank you making me able enough to do everything on my own. I am sorry for all the time, I disappointed you with my results. I am sorry for my mischiefs. I am sorry for not respecting you at times. I bow down to you for giving me your valuable time and teaching me the most important lessons of my life. I have taken a step forward in blogging. I am blogging since 2011. First, I started with single blog then slowly I made three blogs of different genres. Personal, Cricket (sports) and Marketing. 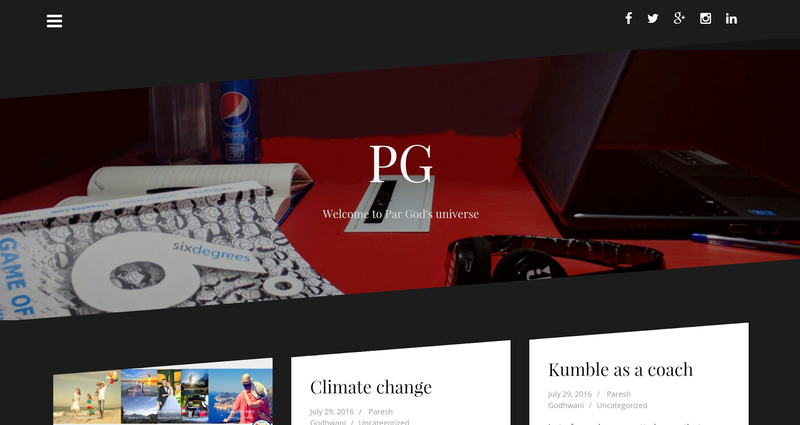 I have added fourth blog in my portfolio now www.pareshg.com. Yes, it is my own website. Now, no blogspot or wordpress or any other website's name in web address of my blog. There is only my name in it. In other words I am a dot com now. I bought my domain and word press web hosting from Big Rock. I decided to go for my own website because in freelancing I was loosing assignments. Companies were not allowing me to write for them because I didn't had my own website. Apart from that, I was looking for a platform to start new blog series. First thing in the process of making website was to choose the name. I have decided to go for .com rather than .net or .in but a name before that was difficult to decide. pareshgodhwani would have been too long while only paresh would have been too general. I thought of par god first but then there would have been no connection between website and my previous blogs. The reflection of my name was important in website's name. I even thought of paresh wani but it sounds awkward. Paresh's wani sounds perfect. In the end, I came up with a simpler name pareshg. It is short, it has the reflection of my name, it connects with my other blogs and it sounds respectable as well. Second thing after name was a theme. 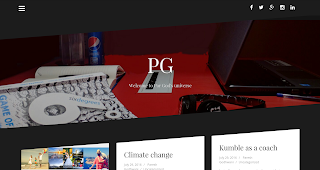 Word press provided me thousands of themes. I wanted a theme which looks good and give all the information about me including my social media accounts. And luckily I got that theme. I gave the name to the blog PG which is same as of my oldest and first blog. Then I added par god in my tag line which is directly linked to my twitter account. On the top of the page there are links to all of my social media accounts. Then there is a header which includes my blog name and tag line. I got the header image from BlogAdda. It depicts everything which you will find on my table except pepsi. Most importantly it has Six Degrees in it. After the header, there are my posts. I have made 20 drafts to give you overall idea about the blog. Actually I have completed and published one post out of those 20. This blog is going to be a mixture of my three older blogs (PG, Cricket-ology & Short Stories). I will mix all three genres in it and will try to make it infotainment for you. I know I didn't mention about the link to my blogger blogs. In this blog, the link to my blogger blogs is invisible. It is somewhere around the links to my social media accounts. If you read and follow my blogs regularly then only you will be able to find it. You can comment on this post if you find that link. Lastly, widgets in this blog is in the sidebar where you will find the one page called blogging badges. Where you will find my badges I have got while blogging. This website is for one year as of now. I will evaluate it at the end of the year and then decide whether I want to go on with it or not. It is an added responsibility for me. I have to maintain four blogs now. I will make sure that none of them is left behind. Hopefully this blog will perform and will give me good ROI. I would like to make it my permanent website in future. Let's see how it performs. Fingers crossed. There is only one person in this world who will care for you like an idiot and that person is your mother. Your mother will always love you irrelevant of situation and condition you are in. You may take her for granted but she will work for you all her life and will make sure that you get everything on time. She will forget her pain to make sure that you get everything ready when you are leaving for work. She will give up her needs and dreams to fulfill yours. Do you even imagine how much work your mother do? Or do you think only you have the workload? My mother is a house wife and I also used to think that her workload is not that much. She has to do the work sitting at home all day but I realised how tough her work is in 2013. 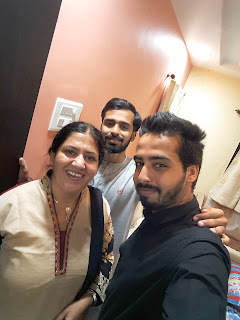 In 2013, my mother went to her sister's house to attend the family function. I was having final exams of MBA so I didn't go with her. Before leaving, she did everything so that I can go through my exams smoothly. My mother went to aunt's place (her sister's place) for three days. She had washed and ironed the clothes which I was going to wear in those three days. Thanks to her work, couple of my exams went smoothly. The real issue was on the third day. On third day, I had a viva and presentation. So I had to be in formals for that and all the formal clothes were in the wash tub. The task ahead of me was to wash them. It was the time when I realised how much work my mother do in the house. When she was around, I used to throw clothes where I wanted to. She used pick up those clothes, put them in the machine, wash them and iron them with all the love. I realised her task was not only limited to clothes. Cleaning of the house, food, daily household shopping etc. I realised it is not like 9 to 5 job, her job starts from them moment she gets up in the morning till the moment she go back to sleep at night. In that realisation mode, I was moving in the house and was taking a note that what condition I have done of this house. I called my mother and told her the situation I am in. She scolded me for wearing the formals when it was not needed. She said, "When will you learn to manage your things." Imagine, a management student was scolded by her mother for mismanagement. Then I asked her how to wash the clothes. She instructed me to fill the half of wash tub with water then put some Ariel in it. Ariel was not around the machine. So she asked to bring out the new packet of it from store room. I picked the new pack of Ariel and put some of it in the water. Then she told me to put my clothes in the wash tub and I did that. After that, I set the timer of 5 minutes and went to prepare for my viva. When the washed clothes came out of the machine there was some different feel in them. All the dirt has gone off them. They were looking fresh and new. I think it was the magic of Ariel. 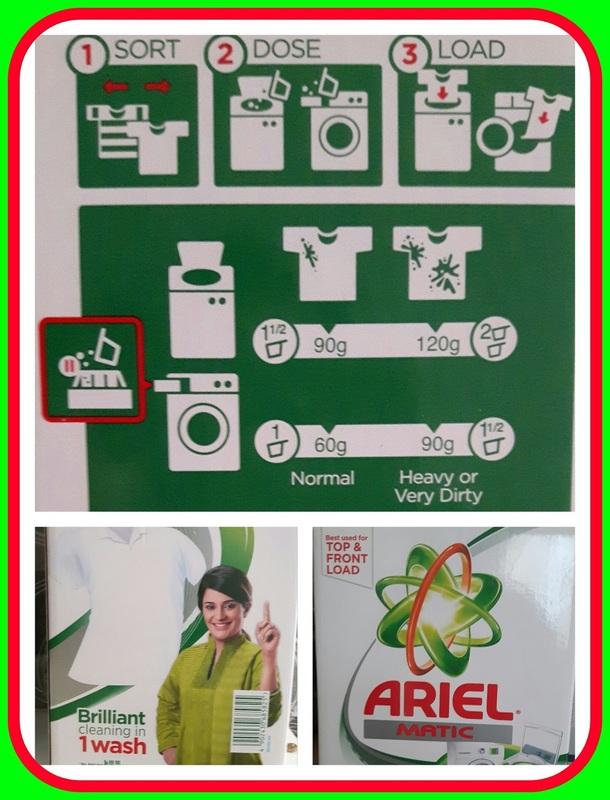 Maa has always trusted Ariel when it comes to cleaning of clothes and Ariel has stood by it. Ariel simply do magic with the clothes. 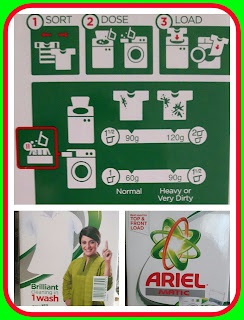 That day, my mother instructed me about while I washing clothes for the first time but these days Ariel matic comes with those instruction. Moreover it gives brilliant cleaning in just one wash. What else you want from a detergent! I learnt a big lesson that day. After that day, I make sure that I always put my dirty clothes in the wash tub washing machine. I fill up the water in the wash tub and put Ariel in it whenever I am at home. Seeing me doing this, my brother has also stopped throwing his clothes here and there. Laundry is such a thing in which everyone can be a master. It is not like only mothers can do it well. So I share Maa's load when it comes to laundry and Ariel helps me to do it in an effective manner. As a result, you can see the smile on Maa's face in fresh clothes washed by Ariel. 25 years. Probably more than half of my life is over. Honestly, I don't even want to live a long life in this mean world. If I evaluate my life then I was an average student in my academic life but I ended up being an MBA. As far as my professional life is concerned then I have ten months of experience in automobile industry, nine months of experience in denim industry and since last one and a half year I am working as an accountant in New India Assurance. I am a freelance writer since last one and a half year. In that one and a half year, I have written a book called 6° with 20 odd bloggers & I have been part of India's first coffee table book for bloggers. 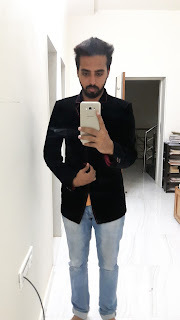 I am a freelance designer since last eight months and trying to be a social media influencer. I am good at one more thing apart from these and that thing is cricket. Actually cricket is above everything for me. If you will wake me up from my death bed and ask me to play cricket, I will be ready for it. This was about my professional life. Now let me talk about me as a person. As a person, I am sensitive, strong headed guy. It is a dangerous combination. It makes me blunt and straight forward. So I am on everyone's face. I am very possessive for the people whom I love. Not only that, I am very honest and loyal to them as well. I don't give up on anything easily. I am simple at most of the things. Small things in life matter a lot for me. I believe that life is lived in moments. Though we run behind the materialistic things in life but life is actually lived in moments. All the materialistic things are going to be here only. Only thing we are going to take with us are the moments we lived. The moments we cherished. Signing the first copy of my book was the biggest moment in my life. Long walk at night with my father, long drive with my mother, calming my brother's nerves in his crucial matches, whacking the ball over the fielder's head, uprooting the middle stump of the batsman, writing 4 blog posts in a day, hang outs with friends are the moments I will always cherish. There will be more such moments in my life and hopefully bigger ones. We show off materialistic things when we meet friends after a long time but the fact is that they were with us when we were nothing. So we should relive and laugh on old memories instead of showing off the materialism. Biggest thing one can donate in this world is smile. And that smile can come through even smallest of the things. I try to donate smiles with whatever I have because life is not fair to everyone and I am blessed that I am leading such a good life. I am blessed with the best parents in the whole world but they deserve a better son than me. As at times, I take them for granted. Life hasn't been a fairy tale for me. I have been ignored, humiliated, discarded and isolated by my own people. People whom I gave the most importance, whom I considered my family played with my feelings and cheated me. They shown me their true colours when I needed them the most. I have no regrets that I gave them the importance, considered them as family & best friends & valued them. I simply gave them everything I had, it was their decision to ignore me, humiliate me and discard me. And for that there is one rule in life, you reap what you sow. So they will get it back in some or the other way. There will be very few people in this world apart from your parents who will care for you like an idiot. Never let them go. Always make them feel good. Value them and give them the importance they deserve. I know I know, I should be doing satsang somewhere but I don't want to force people to live my way because they will live my way only in front of me or only to show me. While they will be totally different nature wise. So I will be forcing them to be two faced. Satsang is already making people two faced and I don't want to fall that much for the sake of money. As I am getting older, I am loosing that version of me who finds fun even in the worst situation of life. Anyways, I would like to take this opportunity to thank everyone who has part of my life in last 25 years. Each one of you have taught me some or the other thing.